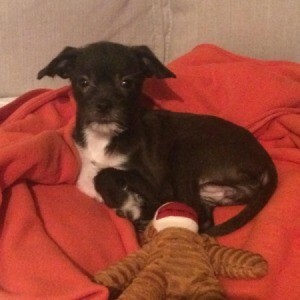 I just adopted a Chi mix. Meet Ziggy! She had 2 siblings that were pure appleheads, and she and her sister are definitely a mix. She is tiny - 3.5 pounds, 4 months and was the runt. She has a cute little beard and very long back legs - she's going to be a jumper for sure. She's as chill as they come. Her ears have started to stand up, but still point to the side and it makes her look like Yoda. 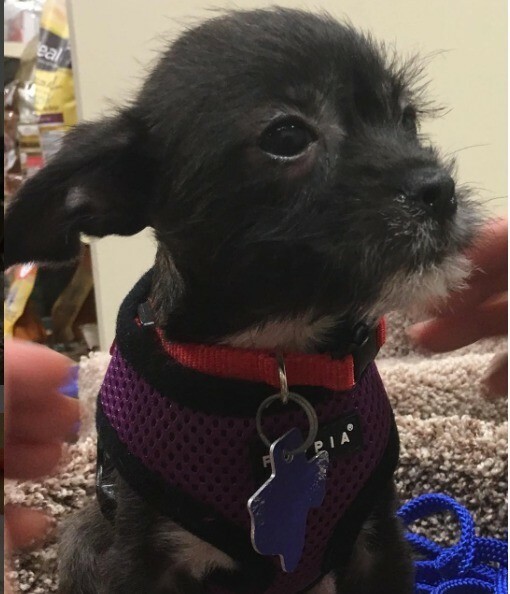 I am thinking either terrier or Schnauzer mixed with Chi? Isn't she a doll baby!! It may be difficult to really tell her mix at such a young age but you can get a DNA test if you really want to know for sure. DNA tests usually cost between $65 - 200 dollars and you can buy them from most large pet stores, on-line or from your vet. I'm sure you will be taking her to get her physical and shots/vaccinations soon so maybe your vet can help you with his/her expertise or with a DNA test. Here is a link to an example of a test so you can see what it all about. Here is a fun site to upload a photo and see what results you get - remember fun..
Give her lots of love and she will return it triple-fold. DNA test to know for sure.